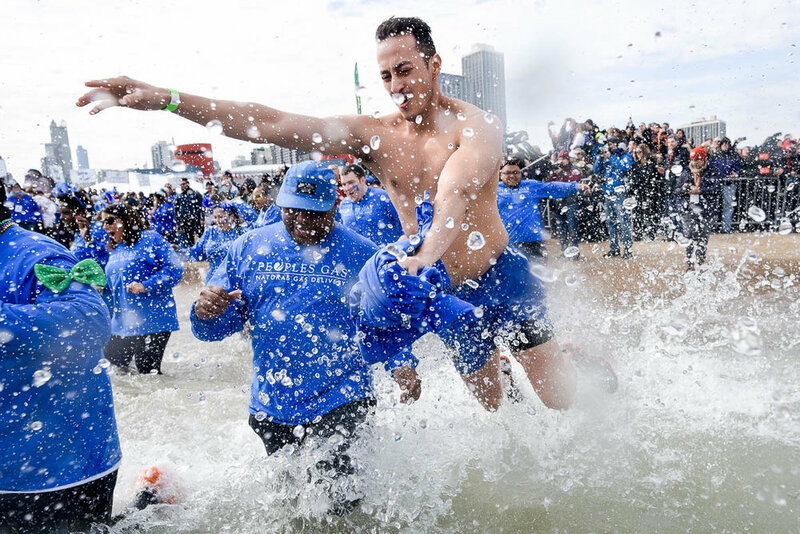 I got another opportunity to photograph the 2017 Chicago Polar Plunge at North Avenue Beach, benefiting the Special Olympics. Always a great time shooting with the folks at Chicago PhotoPress. This year's celebs were Dax Shepard (sporting his ChiPs uniform), and of course the cast of Chicago Fire. It may have been 50 degrees outside, but that water is still 35. Thanks to the Chicago Fire Department for their service, and the dry suits. Already looking forward to next year!